Based on research on manmade time-measuring devices, the Time Machines project aims to create softwares that produce images composed by time. That is, visual results that condense a length of time into one single image, in a way similar to long-exposure photography and time-lapse videos. Webcam images are processed by the softwares, their pixels are removed and recombined in order to obtain images with pixels extracted at different moments. The way the pixels are manipulated is based on the study of a time-measuring device in particular, after which the software was named. Time Machines was awarded the Funarte Visual Art Production Stimulus Grant in 2014. Andrei Thomaz, 1981, holds a Master in Visual Arts from ECA/USP and works as visual artist, developer and professor. His artistic work is composed primordially by new media works and several collaborationships, including sound performances and interactive installations. He also actuates as an interactive developer, working with advertising agencies and TI companies to develop works for clients like AMBEV, Itaú, Pepsi and others. 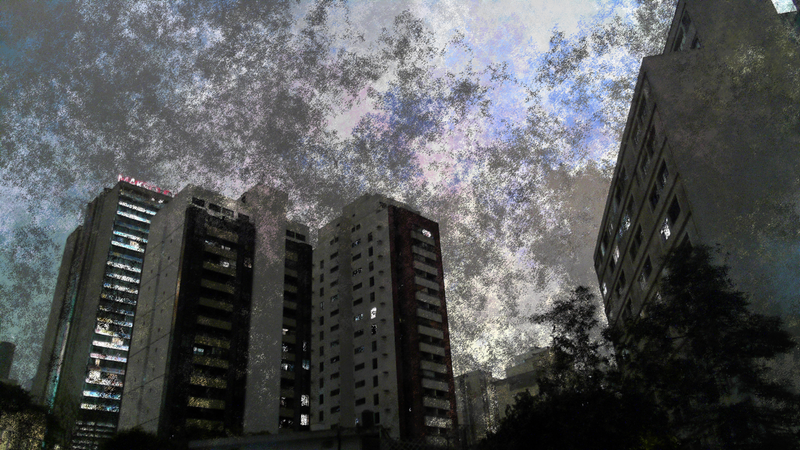 Lives and works in São Paulo, SP.